Data is from the March 2015 Oxygen8 Group report titled "Mastering Mobile: Making Engagement Pay" in conjunction with mobileSQUARED and Lightspeed GMI. 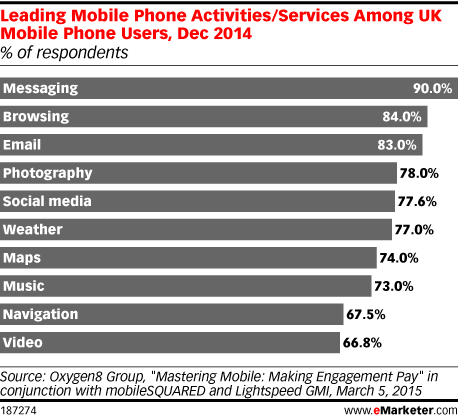 A nationally representative sample of over 1,000 UK mobile phone users was surveyed online via Lightspeed GMI's panel during December 2014. Oxygen8 is a global provider of integrated mobile solutions.